FRONTI offers a unique solution to this robbery problem. 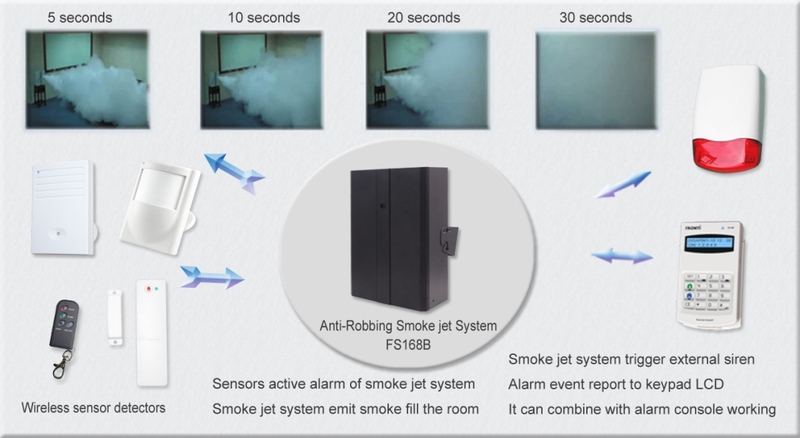 The system can be remote to trigger, or when sensors detect an intruder, the alarm will be trigger; the room will be full of smog in a short time. The shop or warehouse with thick non-transparent smog. This smog prevents burglars from entering the room. In these thirty minutes, burglars cannot see in the room. The spreaded smog has light mint smell which is colorless and leaves no trace. 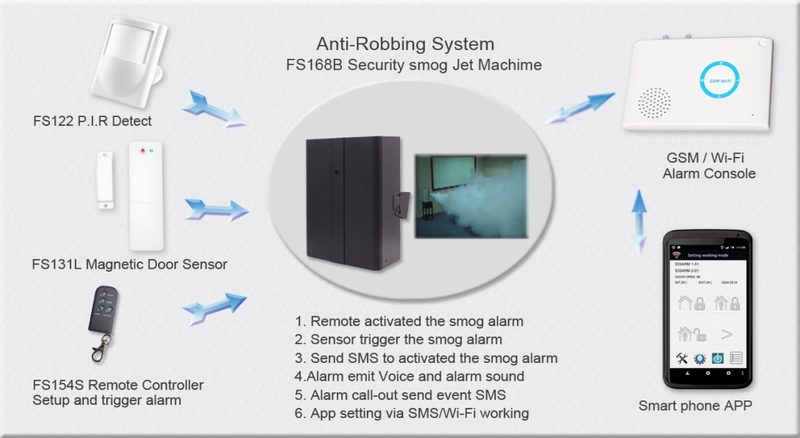 The machine ejects smog to pervade the whole area in few seconds to scare the burglars away. The smog is plant vapor, causing no harm to human body. SMOG system is always installed in the room which contains the most valuable objects, thus minimize the burglary’s stricken damage. The smog creates low visibility in large area and stay effects for 30 minutes. It provides the best “First aid” to the User’s life and property before police or security personnel arrive. Remote operate working mode: away armed/disarmed and 24-hour trigger alarm. Can combine with Fronti wireless sensors total 20pcs, and also with wireless external siren. Remote trigger alarm or sensors trigger to activate the jet smog. It can combine with FS220B GSM auto dialer to voice play dialer and send SMS to report alarm event. It cans call-in send SMS command to activate the jet smog. When the alarm is triggered, it will emit warning voice sound and the alarm sounds. Build-in wire NC/NO alarm input port to connect wire emergency switch or sensors detector to trigger alarm. Build-in wire NC alarm output port to connect alarm console or GSM auto dialer to report alarm event. 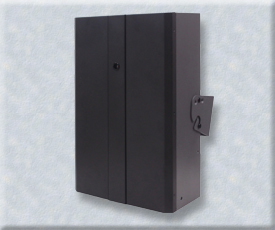 When the AC power lost, user can select standard 500-1000W UPS system for back-up power,. If the alarm is triggered, the smog will quickly expand and permeate the whole area within 30seconds.